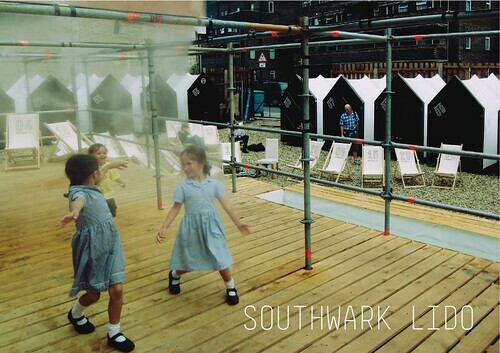 Following the success of EXYZT’s Southwark Lido in July 2008, which attracted much positive feedback from visitors and residents alike, we have published a book of images and texts on the Lido with the participation of The Architecture Foundation, EXYZT and Solid Space. The book documents the life of the Lido and people’s responses to it. It serves both as a souvenir and as a suggestion of the possibilities offered by the temporary activation of sites in transition. The book is now on sale for £10 per copy, plus p&p. You can also purchase copies at a solidarity price of £20 per copy; all proceeds will be invested in future publications.